I’ve been meaning to write about essential oils for a while, but it’s a very large topic, and there are several specific oils that are frequently mentioned in the treatment of Cystic Fibrosis that I’d like to touch upon in the future. 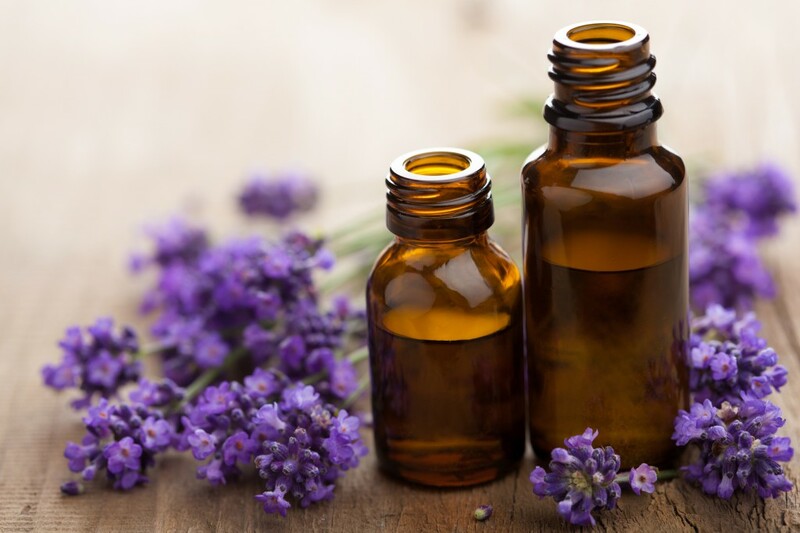 This post is intended to be more of a primer, covering the basic information one should know if they have used or are considering using essential oils for treatment. Essential oils, if you are not familiar, are the bottled “essence” of a plant, generally believed to hold medicinal properties. Historically, they have been a part of traditional healers’ apothecaries dating back to biblical days in the Fertile Crescent, and likely came into use to combat the odor of infected wounds and corpses, before noting in case records that different herbs seemed to provide various different curative agents. Today, they are quite popular among the natural health crowd, and especially with those living with chronic illness, who tend to be more susceptible to appeals to nature and antiquity. There are dozens of forums, websites, blogs, and YouTube videos that all tout the benefits of using essential oils and aromatherapy in the treatment of Cystic Fibrosis. But as I peruse them, they all basically say the same thing in the same vague language without really offering any supporting evidence of their claims. I suspect this usually has to do with sales tactics above all else in addition to confined source material. Many (not all) of those who claim to be in-the-know are commissioned sales associates; they buy into the program, repeat the script, copy and paste the recommendations, get their own oils at wholesale prices, and thereby sound like an authority. I guess because it’s said often in a variety of social networks, people think it must be true, or else why would so many people keep talking about them. Also word-of-mouth is the strongest form of endorsement when people weigh decisions, even when scientific evidence is blatantly lacking or made up. The thing about essential oils that I most want to get across to people is that, yes, they can have medicinal properties; they can have actual measured benefits, and actual measured side effects, and actual drug interactions. Essential oils are concentrated liquids containing volatile compounds from plants. What they are and what they do depends on what plant they’ve come from (and sometimes what part of the plant). Pretty much all of modern medicine stemmed from plants and herbs which were studied, isolated, and chemically synthesized. However, that does not mean that the essence of a plant is equal to its pharmaceutical counterpart. Nor does it mean that they are safer because they are sourced naturally or organically. Essential oils are considered herbal therapy by the FDA, which means they are not required to prove safety or efficacy before selling them. There is also no requirement to disclose ingredients, or pass regular inspections for contaminations. It is wrong to assume that one brand of essential oil contains the same quality or same potency of active ingredient as another. Some forms of essential oils are what is known as true oils; they are pure, concentrated distillations of the plant. Most others are diluted in a carrier oil, usually vegetable based. Either way, you need to know what you’re getting, and that there could be variations in quality from batch to batch, but without a system of checks and balances to assure uniformity that can be a challenge. Throughout the progression of the practice of treating disease, chemists started testing many of the home remedies and apothecary potions used in traditional folk healing. Some they found actual properties that could qualitatively be measured for therapeutic use. The biggest problem was that the bioavailability, that is how much of the medicinal compound is actually found in the plant, varies from plant to plant, harvest to harvest, and with climate and soil type. While one batch of oregano oil could carry high levels of carvacol, the next batch might be sort of a dud comparatively. It wasn’t until pharmacognosists were able to isolate the biocompound and regulate a dosage (usually through lab synthesis of the same chemical), that they could really begin understanding how a regular dose is administered, absorbed, how it is eliminated, whether it is transformed in the gastrointestinal tract, if it causes side effects, etc. Essential oils are often “prescribed” in many ways. Some direct the patient to take orally, some topically administered, some to diffuse, burn, cook with, and my personal favorite: rubbing on the soles of the feet (scientifically proven to give you, um…slippery feet!). In most cases, these directions haven’t really been studied for true efficacy and safety. We know that certain types of citrus based oils also cause photosensitization- making the user hyper-prone to deep sunburn, yet some books, guides, and consultants may still recommend them for use on the skin. In fact, many popular brands of essential oils will cause severe skin reactions because of the potency of the oil. Topical oils should be diluted to a maximum of 5%. People have received what is similar to chemical burns and rashes after being told to rub pure peppermint oil on their skin by a sales consultant. Similarly, some oils are too concentrated to be taken orally. They can cause severe stomach upset, and have been known to erode the tissue in the esophagus. In one case described to be me by a CF specialist, a patient was treated for renal failure after self treating with oregano oil oral capsules. Many people with CF have turned to nebulizing essential oils, after being told that it has shown to kill pseudomonas in in-vitro studies. I believe this is motivated out of 3 things: desperation, self advocacy or mistrust of doctors’ knowledge, and a sense of false trust that because it came from a plant, it cannot possibly hurt. Unfortunately, this is a very dangerous thing to do. According to specialists at a top CF clinic, the risk of lipoid pneumonia is very high. The lungs do not have any mechanism to clear oil from the alveoli. Although pure essential oils are not true oils, and are fat-soluble, their hydrophobic nature can still be problematic for the respiratory system to eliminate. Additionally, since most essential oils are not pure, but are diluted in a carrier oil, usually vegetable oil, this provides a manner to introduce lipids into the lungs. Basically what happens is the lipids from the oil builds up and coats the tissue in the lungs and prevents proper oxygenation and air/ sputum movement. Oil in the bronchi is hard to clear through the normal actions of the cilia, and can make their way to the alveoli in a matter of minutes. Fluid and infection can increase as a result, which can be deadly, as well as contribute to fibrosis (scarring). Speaking to two pulmonologists, each who have had patients self-treat with nebulized essential oil, the results of the lipoid pneumonia can cause devastating damage. At least one patient permanently lost approximately 15% of lung function, and that was after a lengthy recovery in ICU. Another patient, whose FEV1 was close to being listed for transplant, fell sick and died of complications from lipoid pneumonia. One doctor reported that a colleague had a patient whose lung function dropped from a stable mid-range FEV1 to needing an emergency transplant within a matter of weeks. These cases are truly tragic, but even if a person were able to nebulize oils regularly and escape serious consequence, there is absolutely no evidence that it is helpful to add to your treatment. As I’ve said many times before, results in a dish are not the same as results in the human body. The studies rarely go on to follow –up animal studies, and never to human studies. As it turns out, it’s pretty easy to kill pseudomonas on a plate. Lots of things can do it. Peppermint can do it, thyme can do it. Stomach acid can do it, and so can bleach. None of these things are advised to be introduced to the pulmonary environment. Essential oils for cystic fibrosis most often include oregano, peppermint, thyme, clove, and cinnamon. Various companies and sales consultants sometimes add in others, like frankincense and melaleuca, but the aforementioned group are the ones that have actually been studied in terms of their effects on gram negative P.aeruginosa, K.pneumoniae, S. maltophilia and gram positive S. aureus pathogens, all of which are commonly present in the cultures of CF lungs. All of the studies are in vitro studies, and all demonstrate the ability to kill the pathogen. Only one, however, compares the antibiotic property of the plant essence to an established antibiotic. This is the somewhat famous study that looked at peppermint oil against tetracycline that recently generated a response from the CFF. Though the study showed that peppermint oil fared well in this test, tetracycline is a somewhat weak type of antibiotic. It’s mostly used for people with acne or Chlamydia, and is frequently used in veterinary and agricultural settings, leading to modern day resistant bacteria. This is a major flaw with the use of essential oils as antibiotic treatment. They are generally weak compared to Tobramycin, Aztreonam and other antibiotics typically used in CF, and therefore are easy to become resistant to. Pseudomonas is a tough bug; the last thing you want is for it to get its slimy little hands on a bullet-proof jacket, and you having to pull out the big artillery to kill it, leaving collateral damage in your wake. As long as we’re using the weapons analogy, for people who are prone to serious exacerbations frequently, using essential oils in any way is akin to firing BBs at a freight train-it’s not going to slow it down. Another thing to consider is the age-old problem in researching CF treatments: how to break through the sticky biofilm that envelops the bacterial communities and protects them from the full force of antibiotic medicine and the body’s own immune response. A few of the studies did take this into consideration, and some even noted that in a few cases, the test oil was able to cut through the film in non-toxic concentrations (meaning if you were to scale it up to a human body, you wouldn’t have to ingest outrageous or near-lethal amounts of essential oils to get the same effect). However, I stress that these were only test-tube studies, and I haven’t read anything about researchers knowing the precise mechanism of action or biochemical pathway oils may use to reach the microbes through the biofilm-growing mucoid, nor whether their safety in regards to healthy respiratory cells is assured. In essence (if you’ll excuse the pun), information on plant essential oils used as medicine in the body is lacking. What we do know is mainly based on pre-medical herbalism, which may have gotten some of the basic concepts right, but doesn’t always the pass the test of scientific rigor. Limited testing has been done, some showing definite promise, but no clinical trials have taken place, and until researchers can be confident of its potential, they are unlikely to take place. The empirical evidence we do have, shows that some methods for administering essential oils, despite brand recommendations, can be harmful, even fatal. Ultimately the chemical compound contained within each essential oil needs to be treated as precisely as any other in current pharmaceutical use, meaning there is no catch-all, cure-all element to these forms of treatment and they need to be given the same level of research and risk assessment we give to other medicines. Generally speaking, essential oils are just not that far along in qualitative studies, and recommendation for their use as an effective CF treatment or preventative is premature.